• Safe Food-grade Material: Made of food grade silicone, safe and soft, anti-allergy, anti-bacteria. • Three Cleansing Zones: Fine silicone bristles on the front care for sensitive to normal skin, while thicker bristles along the top deliver precision cleansing in the T-zone. On the back, broad silicone bristles specialize in cleansing oily skin. • 5 Speed Adjustment: 5 customizable intensities for skincarte with button "+"""-" to meet all skin types. 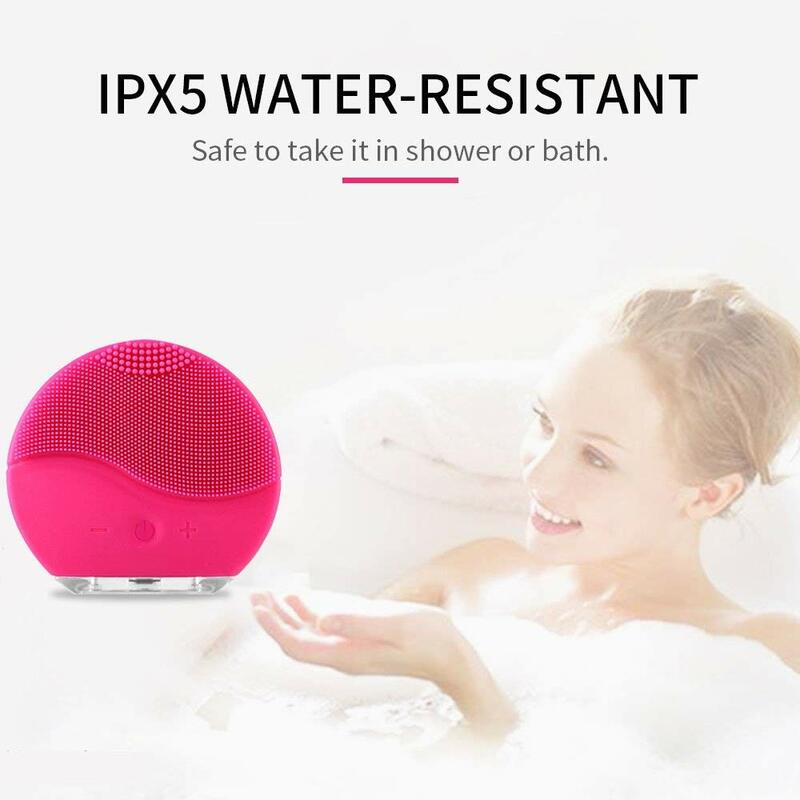 • IPX5 Waterproof: IPX5 water-resistant, safe to take it in shower or bath. 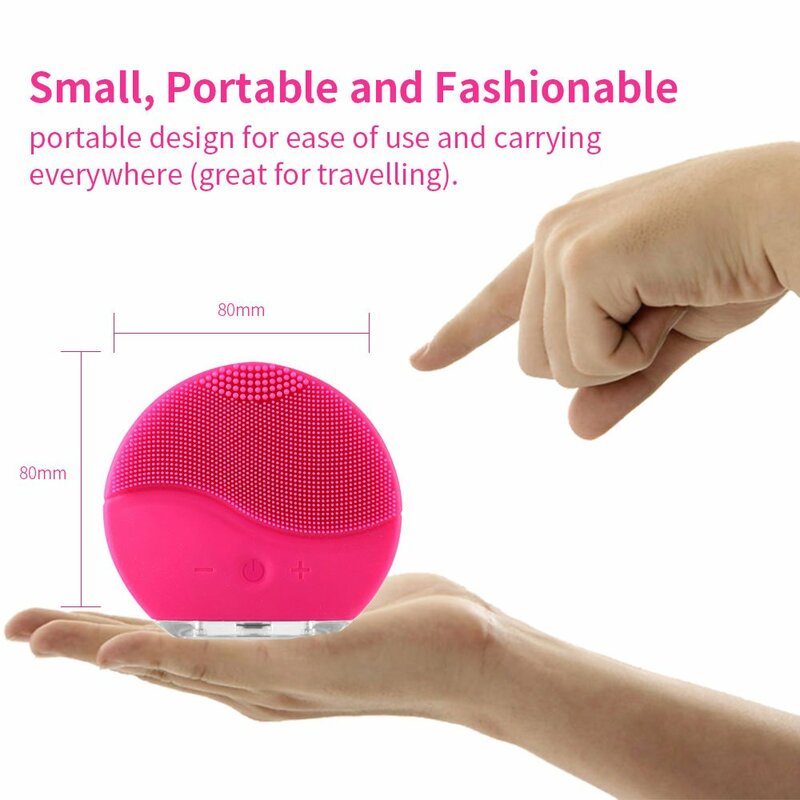 • Fashion&Portable: portable design for ease of use and carrying everywhere (great for travelling). 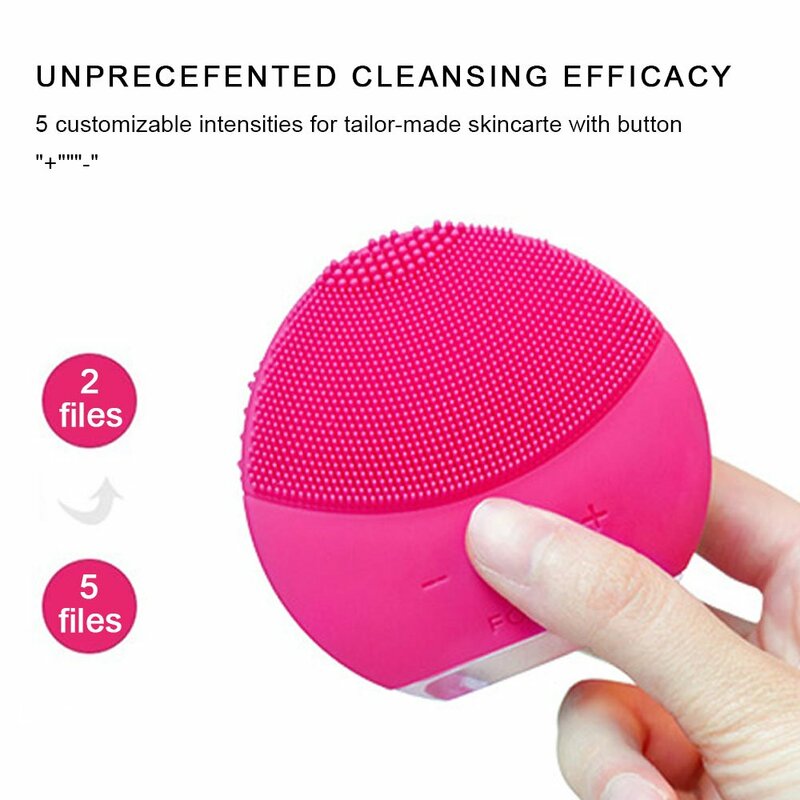 Don't worry, studies show Facial Cleansing Brush clean 6X betterthan using hands alone. The three different bristles suitable for different skin types. Help to remove sebum and surface-level pigmentation. Help your skin to reveal its natural glow. Diminish the appearance of hyperpigmentation and dullness. Let your skin looks smoother, softer and more radiant. Step 1: Moisten face and face brush with water. Step 2: Use a facial cleanser to make a foam and spread evenly overthe face. 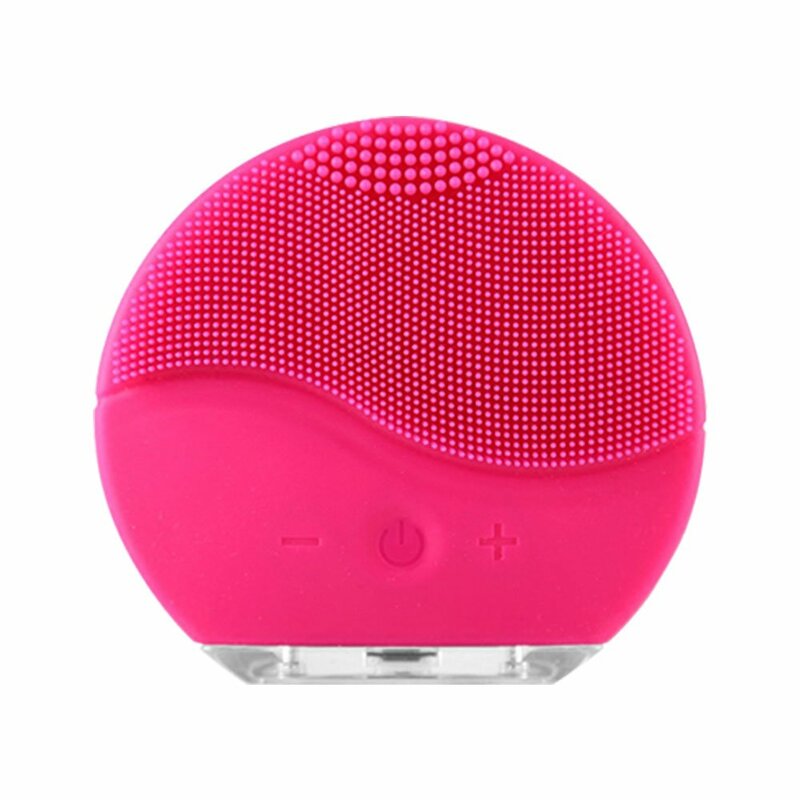 Step 3: Click on the face cleaning brush switch button and adjust toa comfortable vibration position. 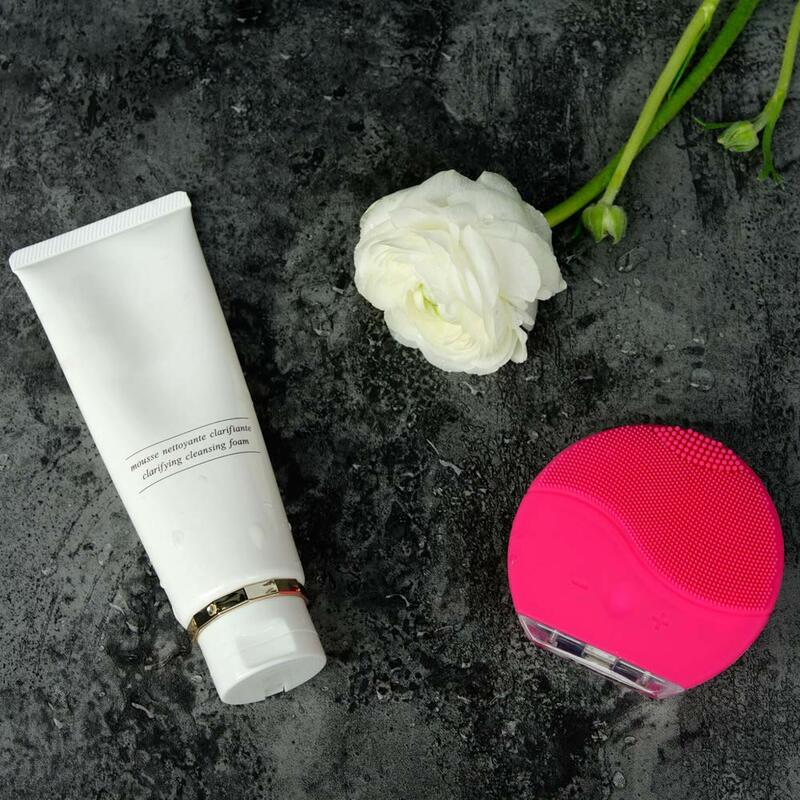 Step 5: After the face is cleaned, clean the face cleansing brush andplace it in a dry place. Please wash and dry after each use.